Note: Deanie’s Sea Food Kitchen will be open 11 a.m. to 3 p.m., Easter Sunday. 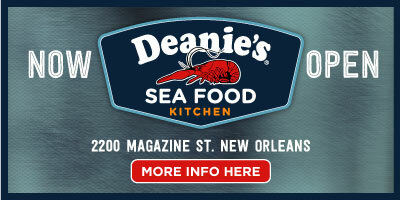 Deanie’s Sea Food Kitchen, 2200 Magazine St., has opened in the Garden District. The third location of the family-owned and -operated Deanie’s Seafood, Deanie’s Sea Food Kitchen offers the same flavors as the legendary restaurant known for serving “New Orleans’ best seafood” and features a raw and charbroiled oyster station. Located at the corner of Jackson Avenue, Deanie’s Sea Food Kitchen seats approximately 175 guests and features a spacious wrap-around balcony for outdoor dining with a beautiful view of Uptown and the New Orleans skyline. Deanie’s Sea Food Kitchen offers Deanie’s favorites including fried seafood, po-boys, seasonal boiled seafood like boiled crawfish, shrimp and Louisiana blue crab, Crawfish Étouffée, New Orleans Barbeque Shrimp and seafood salads served with Deanie’s housemade dressings. 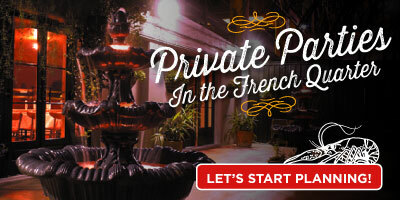 Guests can also sample The Taste of Deanie’s, a choice of three soups from Seafood Okra Gumbo, Crawfish Étouffée, Crawfish Bisque or Soup of the Day, as well as traditional red beans & rice with sausage, jambalaya, and barbeque shrimp tacos served in a soft taco and topped with shredded cabbage and pickled onions. 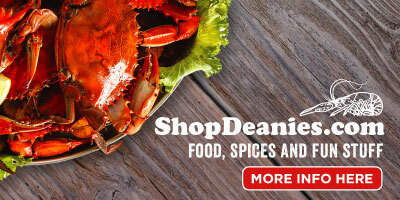 View or download the full Deanie’s Sea Food Kitchen Menu here.